Q:Why did you become a longboard pro? 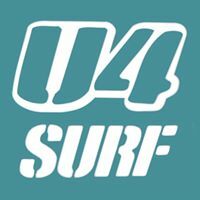 I really enjoy surfing on long board.Well, I would like to participate in the tournament Because it is. Q:Do you surf on a short board too? When there is a wave size, occasionally it is in a short board.However, I usually surf on long boards.It is fun to practice long boards. Q: What is the charm of long board? Being able to ride a wave at a relaxed pace matches my feeling and I like it. Q: Please tell me about the charm of surfing. Feelings are refreshed when you are in the ocean or when you are on the waves. It is to become a long-board Grand Champion. Q: How about surfing for you? I think that it can be continued all the time. See you again in the ocean!